Cheeyappara and Valara Waterfalls are two beautiful falls by the side of Kochi-Dhanushkodi Highway (NH 85, old numbering NH 49). Both are located towards the east of Neriamangalam in Idukki district of Kerala. Travelers can enjoy both the falls from the road itself. While driving towards Munnar from Kothamangalam side, the first one coming in sight is Cheeyappara. It is on the left side of the road. Since the road is wide with a divider near the spot, there is enough space to park the vehicle. It is a cascading type of waterfall. People have an opportunity to climb the rocks to go under the falls. There are small shops selling fruits, tea, coffee etc. So travelers can have a refreshment and enjoy the falls before continuing their journey. 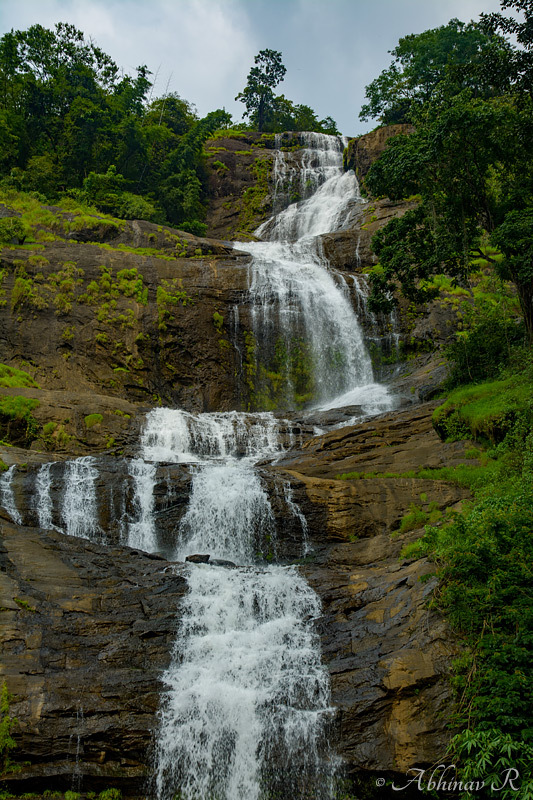 Cheeyappara Waterfalls – Photo clicked from the road. Exif- f/7.1, ISO 100, 1/125s, Nikon D7100, Nikkor AF-S DX 16-85mm. Date- Oct 3, 2014. 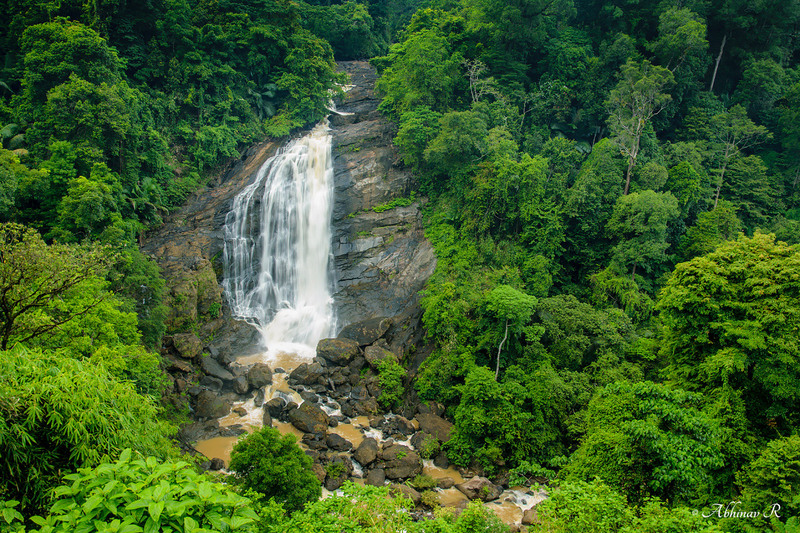 The second one, Valara Waterfalls comes after just 1.5 kilometers from Cheeyappara. This one is on the right side. But unlike the first one, the falls is more distant from the road. So there is no way to go under it or have a shower. Also, it is not safe because the fall is big. But personally, I like Valara more because of the lush greenery around it. Since it is away from the crowd, it looks pristine. It is a nice photo spot too. Valara Waterfalls with the greenery around. Exif- f/5.6, ISO 100, 1/8s, Nikon D3300, Nikkor AF-S DX 16-85mm. Date- May 13, 2015. Since these waterfalls are on the way to Munnar, a major hill station in Kerala, they are more like pit stops rather than destinations. The best time to visit is after the monsoons, that is August – November when the rivers have plenty of water. During summer, there will be scarce or sometimes no water in both the falls. Nearest towns: Neriamangalam (in the west) and Adimali (in the east). Munnar is around 46 kilometers from Valara. Just another beautiful waterfall in Idukki, Kerala. Both the waterfalls look amazing! I have only once stood under a water fall and the force of water was so much! That’s a good experience. Thank you Mridula-ji for visiting.